This is a weekly series which features friends who have met celebrities. Ira Knobler is another person I met through some wrestling site. Ira meets a ton of wrestlers in the New York area. Today, however, he is featured with a baseball legend. I loved Joe Torre as a player. He was playing for the St. Louis Cardinals in the first game I ever saw outside of Chicago. Does anyone remember that he was a player-manager for the New York Mets in the late 1970's? It's hard to believe that there were three player-managers in the 70's (Torre, Frank Robinson and Don Kessinger). It's also hard to believe that Torre received so little support in he Hall of Fame voting. Torre made the HOF as a manager, but as a player, he hit .297 with 2342 hits. He won one MVP award, was a 9 time All-Star and won one Gold Glove. If he isn;t HOF worthy as a player, he is that next step of very close players. I met Torre on the field during his time managing the Los Angeles Dodgers. I was part of a pre-game dugout media session, but failed to land him for a one-on-one. Still, it was a thrill just being on the same field as Torre. I'm a bit envious of Knobler. I am sure he got to chat with Torre a bit. Just add it to the lengthy list of great celebrities he has met. 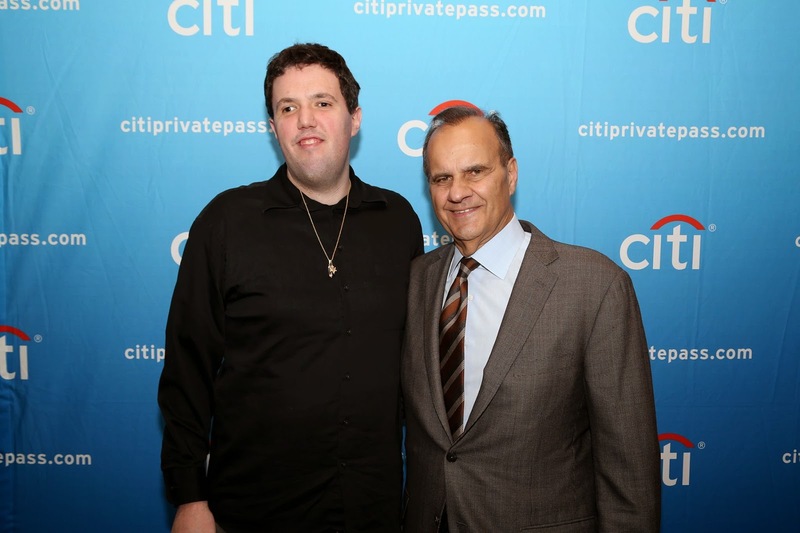 Ira Knobler and Joe Torre in New York-December 2014.